The Church of Jesus Christ of Latter-Day Saints is a 53,000-sf temple in Philadelphia, PA. The temple is situated on a pedestrian plaza encompassing a 1.6-acre property within the city. 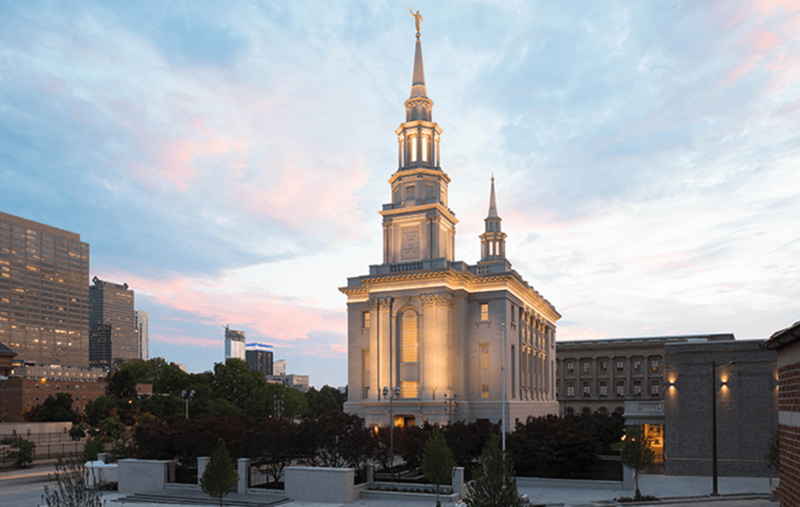 The four-story temple will be the first of its kind in Pennsylvania and will serve members located in Pennsylvania, New Jersey, and Delaware. A Temple Services building was also constructed above the below grade parking facility. Pennoni provided survey, geotechnical, environmental, transportation, and land development services for temple. This project received the 2016 Trumbauer Award for Excellence in Contemporary Classicism in the category of commercial, institutional, and civic structures from ABC Delaware. The featured project photo was provided by the Church of Jesus Christ of Latter-Day Saints.